It looks like a brachiopod imprint. 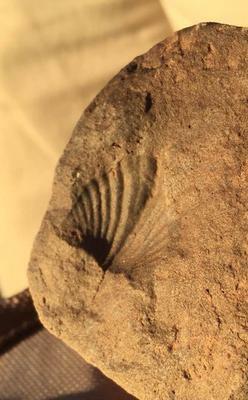 Brachiopods are marine bivalves. The Valley of Fire is Mesozoic Rocks mostly Jurassic and Cretaceous.